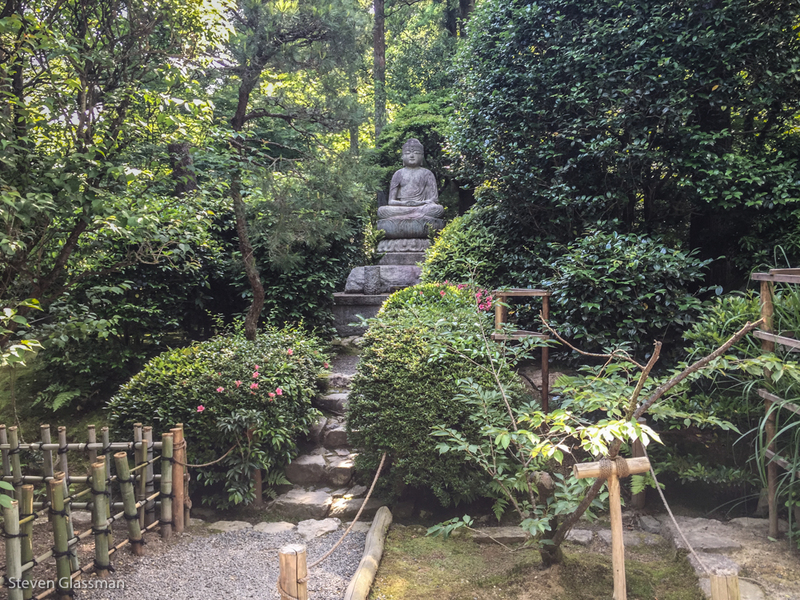 A Few Hours In Kyoto: Kinkaku-ji and Ryoan-ji – Sunshine. Whimsy. Tacos. On Sunday morning, after I was done at the Osaka Aquarium, I took the JR West Special Rapid train, which takes just under half an hour to go from Osaka to Kyoto. From there, a short ride on the Kyoto City Bus took me to Kinkaku-ji, also known as the Golden Pavilion. Kinkaku-ji is a Buddhist temple, formally named Rokuon-ji Temple. It has been named a World Cultural Heritage Site since 1994. Visitors can see the Golden Pavilion from a small distance, but cannot actually walk inside. The view in the first picture is really as close as you get. 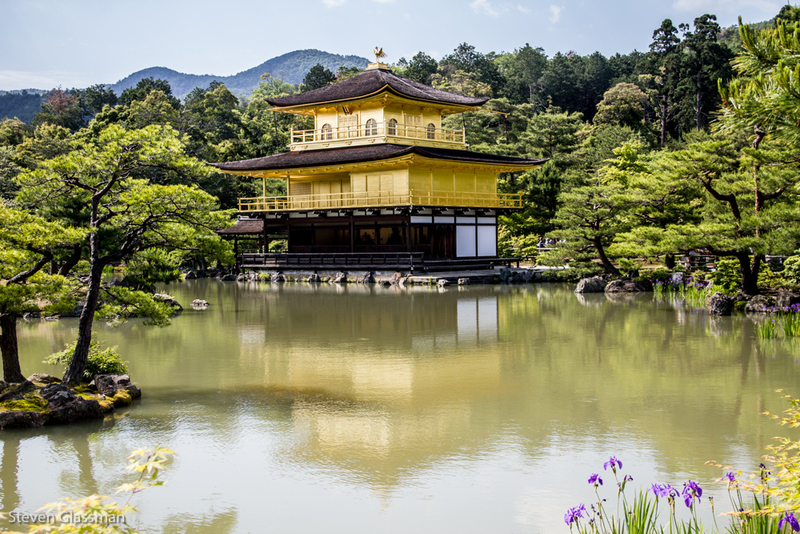 The golden hue of Kinkaku-ji is gold foil on lacquer, covering the upper two levels of the shrine. According to the tourist brochure given to visitors, each level is a different style of architecture: The first level is in the shinden style of the 11th century aristocracy, the second level is in buke style of the warrior aristocracy, and the top level is in the Chinese zenshu-butsuden style. 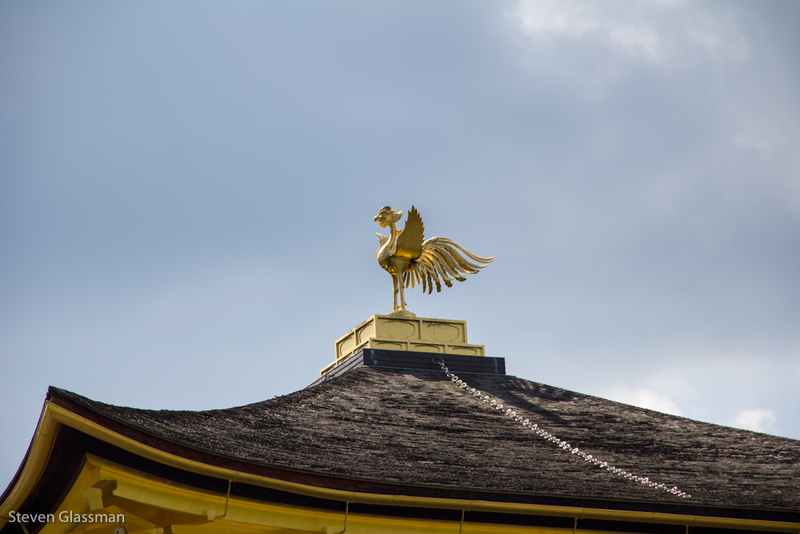 A golden phoenix stands atop the roof. 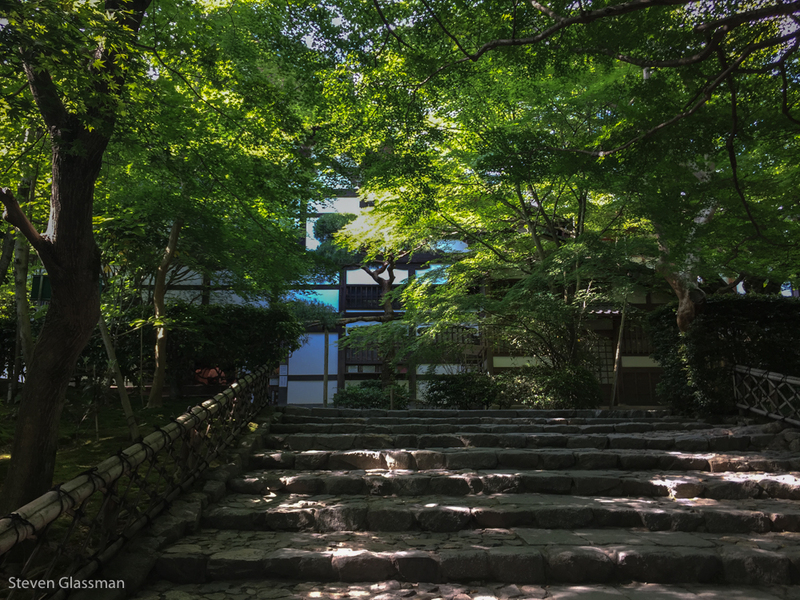 After I was done walking around Kinkaku-ji’s small pond and garden, I decided to walk to another nearby shrine, Ryoanji Temple. The distance was a little bit more than one mile, and it was a pleasant walk. Thank goodness for navigational robots on smartphones, though- without them, I never would have believed I was going the right way. At the end of that mile, I found the main drive to Ryoan-ji, and it was filled with buses for students on a field trip of some sort. I walked to Kuri, the main building of the temple, stepped inside, and took off my shoes. Most of the students from the buses outside were sitting in front of the rock garden, said to be created around 1500. 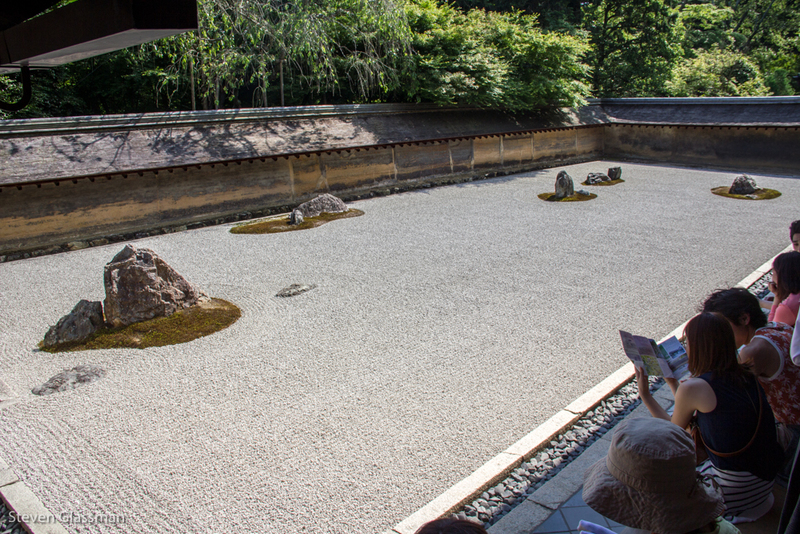 This rectangular Zen garden is twenty-five meters from east to west, and ten meters from south to north. It contains no trees; only fifteen rocks and white gravel are inside the boiled clay walls. 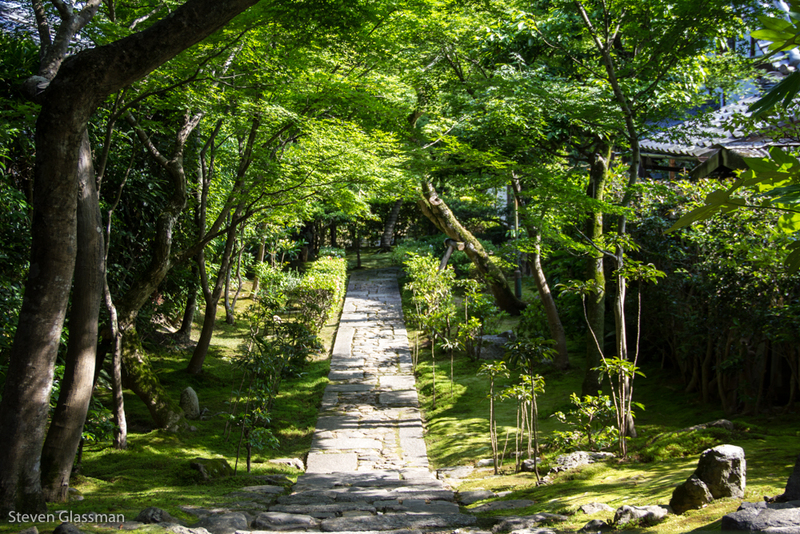 Ryoan-ji was destroyed by fire during the Onin War, and was rebuilt in 1499. 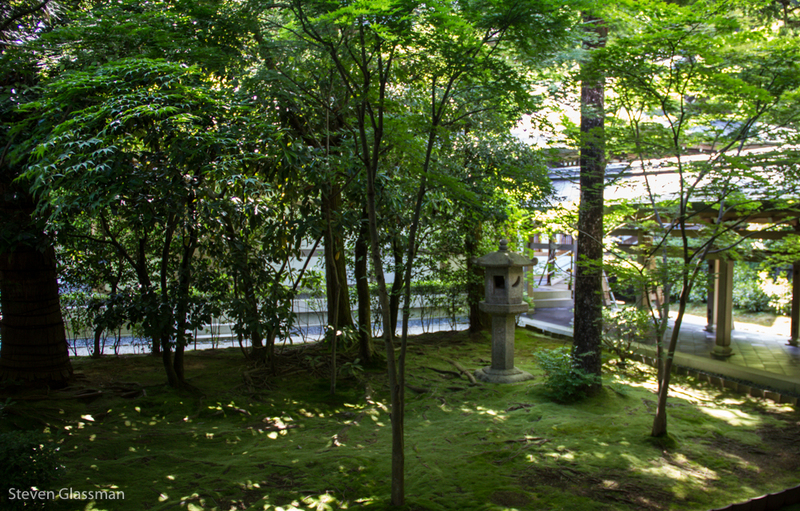 The gardens around the main building of the temple are very quiet and green. Like Kinkaku-ji, Ryoan-ji was registered as a World Heritage Site in 1994. While Kyoto is very large, I only had enough time to visit these two beautiful sites in the northern part of the city. After a pleasant mile long walk back to the original bus route, I returned to the Kyoto train station to get my final Shinkansen train back to Tokyo. Naturally, there was live music happening in the train station. This sort of thing seems to happen wherever I go. 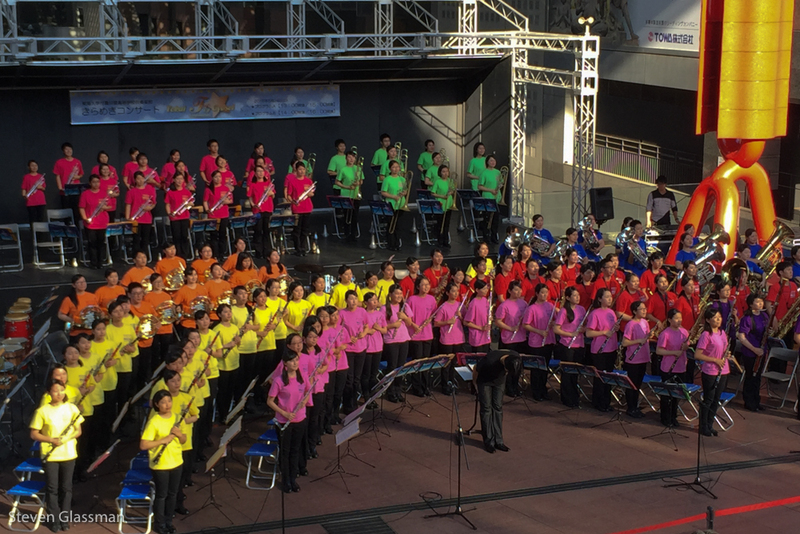 They might even have been the same group I’d seen the previous morning in Hiroshima. Have you ever been to Kyoto? Do you have a favorite shrine?